VIRGIN DRIVES / LOW 4'S / LEATHER Price was reduced and new virgin drives and wheels installed. 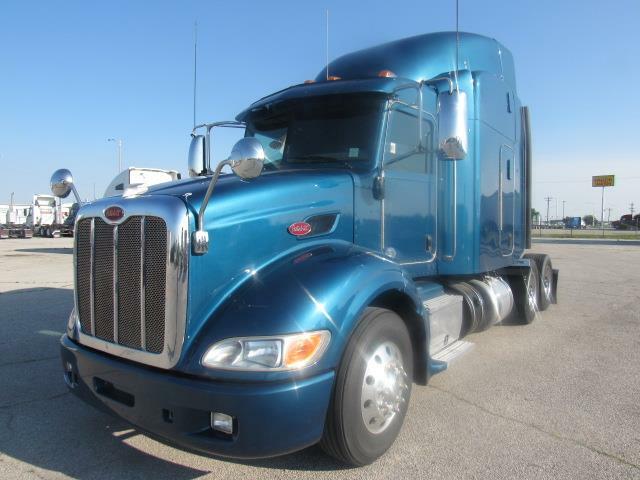 This 2014 Pete offers 430k on miles, powered by Paccar and shifted by 10. Spacious 63" sleeper and a nice interior with leather seats. Air slide 5th and beautiful blue exterior.